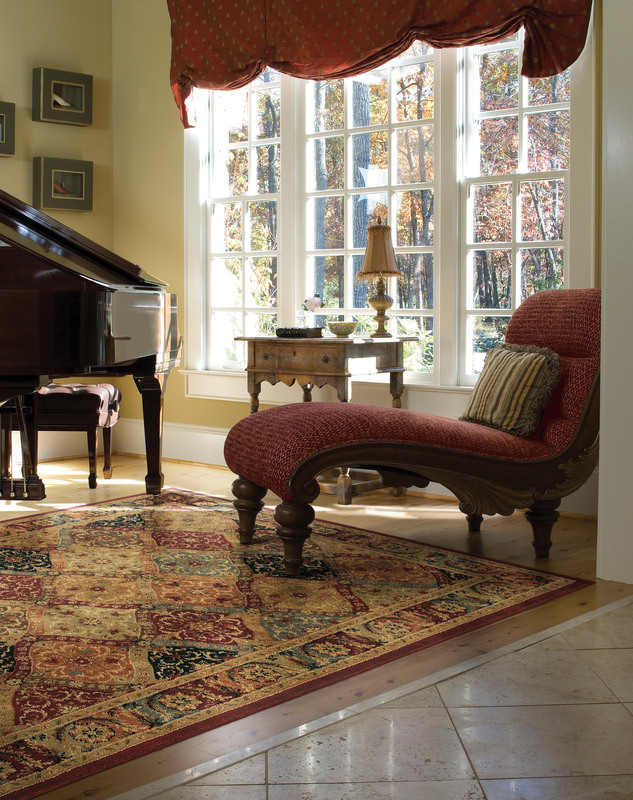 The basic fibers used in area rugs and carpet today all have their individual strengths. Your ultimate choice will be determined by the characteristics that are most important to you. Nylon has been the most commonly used carpet fiber since the early 1960s and is used in the production of area rugs as well. In overall performance characteristics, nylon is the most versatile of all fibers, providing excellent flexibility in creating a variety of area rug and carpet styles. Nylon can be found in a wide range of both cut pile and loop pile styles. It is durable, resilient, and receptive to dyeing for color versatility and uniformity; many new nylon yarn systems are also exceptionally soft. Though not inherently stain resistant, most nylon area rugs and carpets feature a stain-resist treatment for protection against household spills and stains. Polyester offers exceptional softness and color clarity, and it is also naturally stain and fade resistant. While polyester is not as inherently resilient as nylon, area rugs and carpets made of polyester fiber will perform well if appropriately constructed. Thanks to technological advances in yarn processing and improved carpet construction techniques, polyester’s purported weakness as a high-performance fiber has been largely overcome. When properly twisted and tufted, today’s polyester yarns perform much better than in years past. Polyester styles are good choices for low – to medium – traffic settings such as bedrooms. 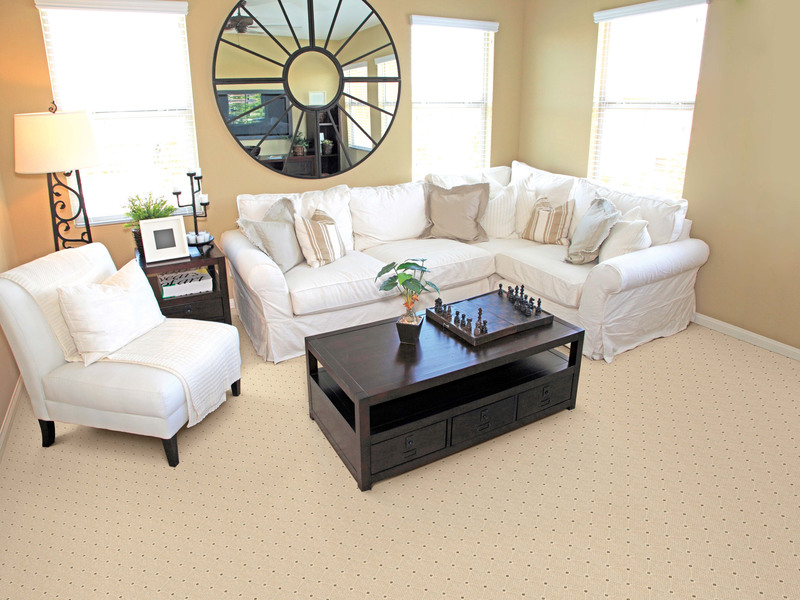 Polyester carpet styles typically represent good value. Unlike other fiber types, polypropylene will not absorb water and must therefore be solution dyed (pigmented) to impart color. Solution dyeing is a pigmentation process in which color is actually built into the fiber when it is formed, or extruded, thereby becoming an inherent part that cannot be removed from the fiber. The color will not fade, even when exposed to intense sunlight, bleaches, atmospheric contaminants or other harsh chemicals or elements. Since it is not as resilient as other fibers, polypropylene is normally used in loop pile constructions in which there is less need for superior resiliency. When we think of making interior design changes to our home, we often think of a fresh coat of paint, a new sofa or even reupholstering a piece of furniture without ever looking under our own two feet for the obvious solution. A change of carpeting can bring out new charms in your old furniture and in you! Whether you’re looking for wall-to-wall, area rugs, runners, solids or patterns, carpet can dramatically change the look of your living space. And in today’s marketplace, the possibilities are endless. Color is one of the most personal and subjective elements of carpet buying. One person’s “beautiful” is another’s “boring.” Fortunately, there are more colors and designs available than ever before. Consider some of the new neutrals, like yellow, light blue and pale green, in addition to the more conventional yet forever elegant beige, tan, ivory and cream. Also, remember that while light colors make a room seem larger, dark colors can make a room seem cozier and more intimate.